Do you ever have feelings that you have no business feeling? Like first world problems that you really want to complain about, but to do so seems incredibly ungrateful and petty? I have one of those kind of things that I'm going to write about it, but I do put this disclaimer on it: I am a big feeler of feelings and those feelings last a while and really impact me - for better or worse. Those feelings are what cause me to write. In so many cases, I know there are those who suffer far more than me, who are robbed of the things they love and might view my feelings on a matter as petty and ungrateful. If that is you, please know that I mean no disrespect or flippant response to someone else's circumstance and feel free to ignore this post or others like it. When I was pregnant the first two times, I worried about things like moms do. But both of them were fine. When I was pregnant with the Race Car, I worried a little more, but ultimately expected things to be fine. When he came furiously fast and had to have oxygen with some chest compressions, it was a little nerve wracking, but short-lived (it only lasted a minute or two). When his breathing just wouldn't slow down from birth and we had to take him into the emergency room because things weren't getting better, my brain raced to all the places we could go. In my heart, he died or he had an organ malfunction with need for surgery or medicine his whole life or all sorts of problems I couldn't even imagine. I felt helpless and terrified, I yo-yo'd from shock to anger to devastation, all while having to be away from my big kids over Easter weekend. I now know the symptoms of PTSD so well that I can predict television shows' story lines that are building up to it. 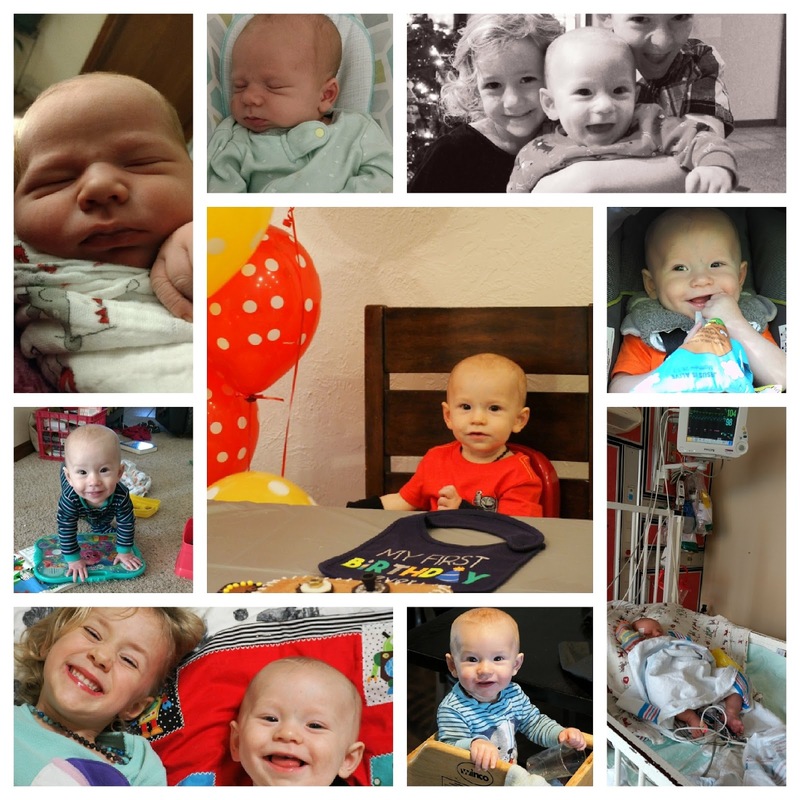 In the span of about 2 weeks, I faced dozens of my worst fears completely against my own will (meaning I didn't want him to be sick - of course I was willing to take him because I wanted him to be okay). Subjecting my newborn baby to poking and prodding, trying to nurse him with wires coming from everywhere and naively trying not to set off alarms. (We quickly learned how to turn them off and how incredibly unreliable they are on infants.) And about a month and half after that my dog died which sort of just sealed the deal with the PTSD. The recovery from that was an entirely different ballgame than just recovering from delivery. The good news that makes me sound like a real jerk for even writing about all of this is that my little Race Car is fine now. He is adorable, smart, has a smile that goes on for days and loves people - especially his people. He has no health problems and that span of two weeks feels like a fluke now. But, because I felt all the possibilities and terror of the what-ifs, some days I look at him as though he came back from the dead. And I crumble with tears and gratitude that he was given back to me, where so many aren't. Even more of a jerk, I have 3 healthy children when some aren't blessed with any or struggle with all kinds of sickness or setbacks. Still, there are a couple of reasons that I even bring all of this up. For one thing, these events and the feelings I have experienced over the last year have shaped me into a different person, mostly for good. That is important to be said somewhere other than just in my own head. I also think in this day of social media comparing (and sometimes bullying) that everyone gives themselves the opportunity to acknowledge their feelings in one way or another. It's true that I've not had to deal with the death of a child or infertility or disability - and I should always be grateful and respectful with those mercies - but the residual PTSD feelings that I struggled with could have mushroomed into something awful and destructive had they not been addressed in a healthy way. We live in a time where mental health is not an automatic anymore. When you are mushed into the middle of not being the best at something and not having the worst problems, it begins to feel like your feelings are irrelevant because they don't trump someone else's. That's where we begin to destroy ourselves from the inside out. Like the children that should never be compared because they are vastly different (think fast talking girl and a boy more interested in a ball than talking), the big deals and minor setbacks of our life are going to be different than the next guy's. Let everyone have their feelings and encourage each other to get in a healthy space.
. In some ways, my little turmoil is minor compared to others who have to struggle with loss or ongoing burdens. I am so thankful for my little guy and I can't tell you the joy he has brought to our family, but I sincerely feel like I have just fought a war to get here. And I'm just so thankful to have made it out alive! Whatever you may struggle (and hopefully come out victorious over) with in your life, I pray that you give yourself permission to acknowledge how big of a deal it is to you. Even if the rest of the world has no interest or need to know, recognize the progress or the pain. It is usually there that the healing begins. The Poison of "I Can't"